ChibiNature Okay I have fully bought into the idea of using Aetherflux Reservoir as the main win condition. 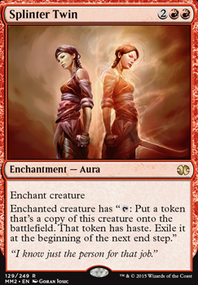 Yes it is on your turn only but it will supplement Firebrand Archer and Guttersnipe helping with your 2nd win condition, this actually can become your main win condition. Speaking of Firebrand Archer , want to consider Electrostatic Field ? Same cast cost but a 0/4 to dodge the nasty Pyroclasm . VaalVanir no worries lol, this format works just fine. 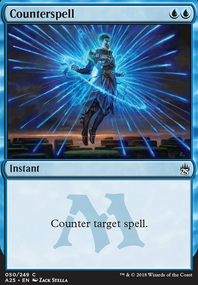 I'd say a good 70% of my victories come from Aetherflux Reservoir and Paradox Engine since you will at that point be casting enough cards a turn to start gaining 12-15 life everytime you cast a spell. So in a single round around the table you've gained more than enough life to ping every other player to death. The other 25% of games comes from Guttersnipe or Firebrand Archer since Paradox Engine is such a huge threat on the table it falls to these two dudes to close out games when my main win conditions get nuked. And secondly is how his ability compares to others. 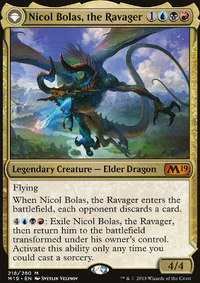 Let's compare him to Phalanx Leader since it is probably the weakest inclusion of the creatures in my deck. 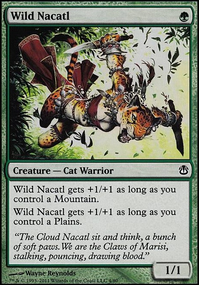 When I'm spawning token creatures on the battlefield I'd say I'd have about an average of 8 creatures before I either win, or get hit by a board wipe, so we'll use that to compare. Hound costs twice as much as Phalanx Leader, and ONLY hits himself. So one +1/+1 counter for 4 mana. Phalanx will hit roughly 8 people with his for half the price, so that makes it 16 +1/+1 counters for 4 mana. While this number will fluctuate up and down depending on the board state, it is fair to say that Pyre Hound is about 16 times worse than our worst creature in the deck, and even when he can be used, he is only relevant 1/20th of the time, since he caters to the least likely win condition in our deck, combat damage. I know that it was also suggested above, but with the meta changing some and the graveyard decks being silly right now, I think a few things could be changed for relatively inexpensive. Sweeper--> With how the meta is right now, I feel that Volcanic Fallout isn't exactely what we're looking for here. 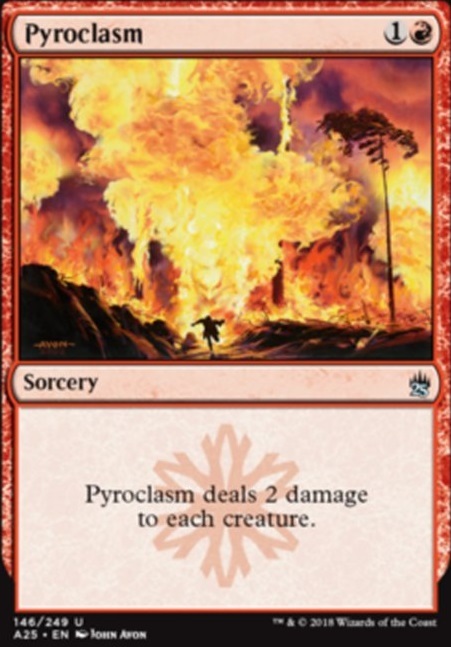 Maybe instead we look at Pyroclasm now, since it's significantly cheaper than the others. 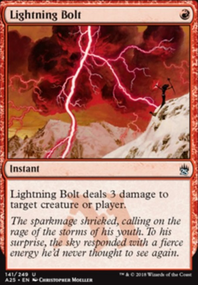 Personally, I think that Anger of the Gods is your best bet since it exiles threats... Arclight Phoenix and Dredge are a real thing. 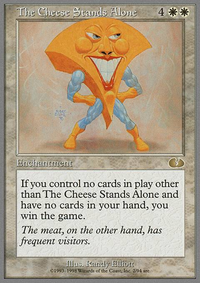 Also, I agree with above that Abrade is a real card. I love seeing Abrade in almost all matchups. Have you thought about going more burn-y? Rift Bolt --> Just another 3 damage to the face. Feels decent. 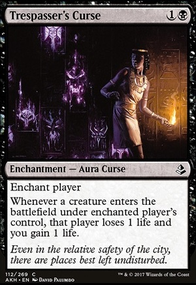 Light Up the Stage --> Much better with spells than with creatures, but if the curve is low enough it's basically -draw two cards. Eidolon of the Great Revel --> Probably will hurt them more than it will hurt you. That's why burn plays them as a 4 of. Plus, storm just makes a frowny face at the spirit dude. This is all just ideas and my personal opinions so if you have any questions about my ideas please ask! I know you're on a budget, so I tried to keep the options pretty friendly overall. Have fun!